The Sanders phenomenon has both inspired, and been propped up by, a large patchwork of all-volunteer grassroots organizations just like Team Bernie. These Sanders supporters are progressive idealists of all ages; they’ve joined together in a powerful movement; this was a special moment in their lives, and nobody really wants to go home. 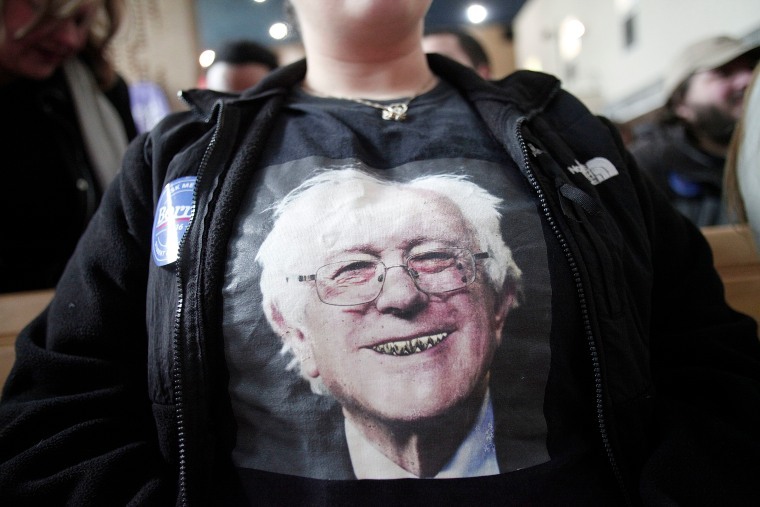 But with the Sanders For President campaign grumpily, reluctantly rowing itself across the River Styx, the grassroots has a serious existential question to ask itself. What happens now? Arun is semi-retired. Just a few months back, he explained, “I was living a life where I had my feet up on the ottoman, drinking beer, watching TV, doing nothing.” Then his daughter, seeing that he was intrigued from afar by Bernie, and knowing how capable he was, signed him up for the Sanders campaign’s email blast. Within weeks, Arun was donating money, canvassing, and volunteering for phone banks; eventually, he set up his own pop-up Bernie office in his Brooklyn neighborhood, Canarsie, organizing a small army to go door-to-door to proselytize for his guy. It was such a lovely little grassroots success story that I almost hated to ask. Say Bernie does run as an independent, and hurts Hillary in the process? Aren’t you worried about the possible repercussions? It was an utterly insane thing to say. But I had to believe it was coming from a good place. And that place was that unshakable belief that Bernie has managed to engender over the span of his remarkable campaign. For some, like Arun, it’s Bernie now, Bernie forever, Bernie over everything. Then, more quietly, more urgently, he explained that the canvass captain in Union City, New Jersey, had had a grandparent pass away, and was unavailable to fulfill his duties, and so what the team really needed right now was a new volunteer canvass captain. It felt to me like a good reminder of what grassroots political action is: the simultaneously insane and thrilling idea that this could be the linchpin for a whole national campaign — a small-town volunteer, answering the call to action. On Tuesday, June 7th, Bernie Sanders would go on to lose the New Jersey primary.